Men’s Knit Vest Andy in Pebble. 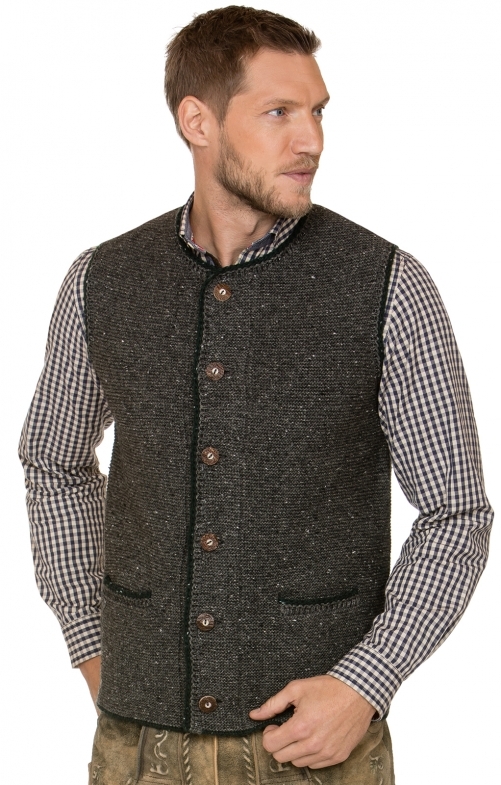 Men who step out in this impressive knit vest are sure to create a lasting impression without ever having to say a word. The pebble grey colour is perfectly complemented by the dark green stitching on the edges of the vest as well as on the convenient pocket and features six horn buttons running down the front that can be used to create a range of different looks. The traditional Trachten vest has been created from a blend of 50% wool and 50% acrylic for a very comfortable fit and this is the ideal garment to wear over a classic gingham print shirt.